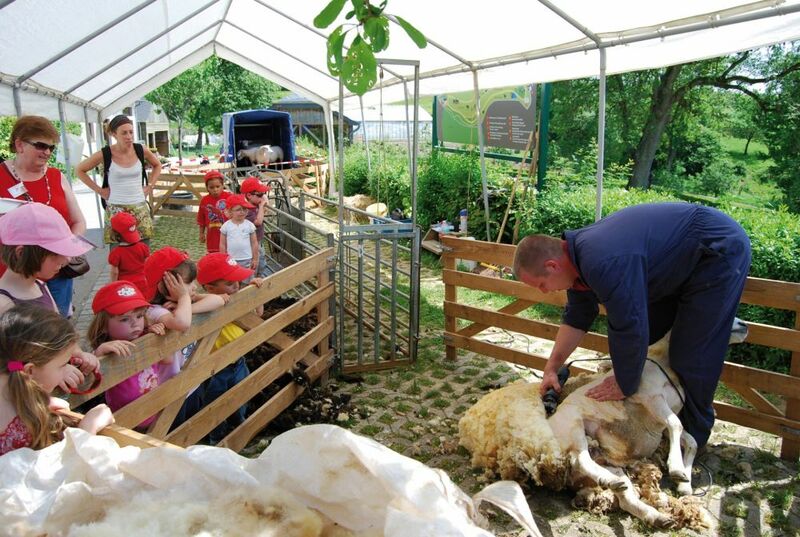 Discover the lifestyle of our ancestors in 14 exciting and interactive workshops, you can witness how our Blacksmith adapts a new horseshoe, discover how our beekeeper maintains the bee colonies, learn everything about the production of honey, operate an old agricultural machinery, visit our old sawmill and learn more about the hay harvest. Learn how farmers once lives with all your senses; see, hear, feel, taste, on a 6 acre site in Munshausen, in the yard in Cornelyshaff Heinerscheid with the small craft brewery in the Water Mill "Rackésmillen in Enscherange. The area and the various facilities are accessible for people with reduced mobility.